The Best Key Lime Pie EVER. — deep hunger, deep gladness. So good that the two times I’ve taken it somewhere, the platter has literally been licked clean. It has 5 ingredients. It takes less than 20 minutes to assemble and sets up in the fridge. The hardest part about this pie is getting out your food processor. Too good to be true? Nope. Just good enough. Use your food processor to finely chop the ginger snap cookies. 3. 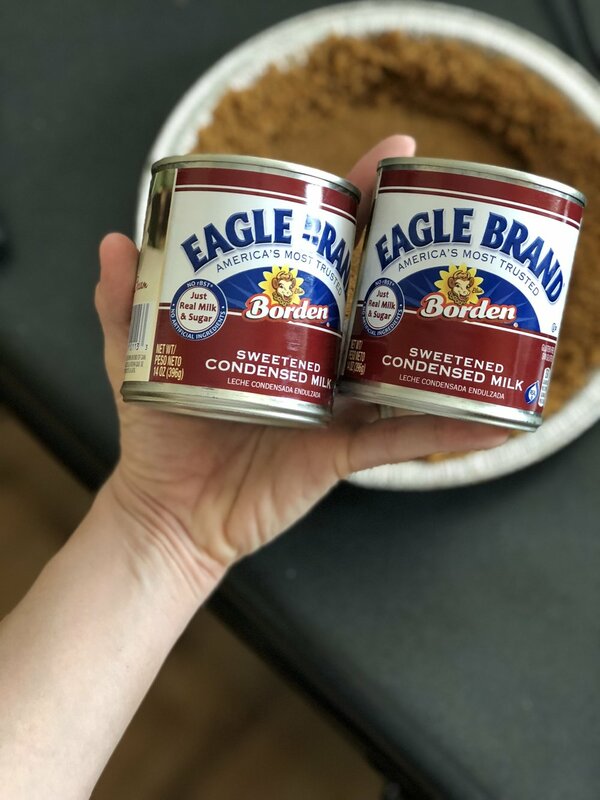 In a large bowl, mix ginger snap crumbs, sugar, and melted butter. Stir well. Using a 9x9 pie dish, flatten the mixture along the bottom and sides of pan, ensuring that the mixture is evenly dispersed throughout. Bake for 8 minutes, cool completely. *Note: Watching "The Real Housewives of Orange County" is encouraged, but not necessary, to the successful execution of this recipe. Although in the baker's opinion, OC is the worst city in the franchise at this moment and really doesn't even deserve our attention. Mix 2 cans of sweetened condensed milk with 1 c key lime juice. Stir well until fully combined. Now if you want to be fancy, you can add some fixins. You can certainly make your own whipped cream, but I am a big ol’ redneck and LOVE me some Cool Whip. There is nothing like that processed, 0%-nutritional-value goodness, and it’s the perfect complement to the tartness of a key lime pie. 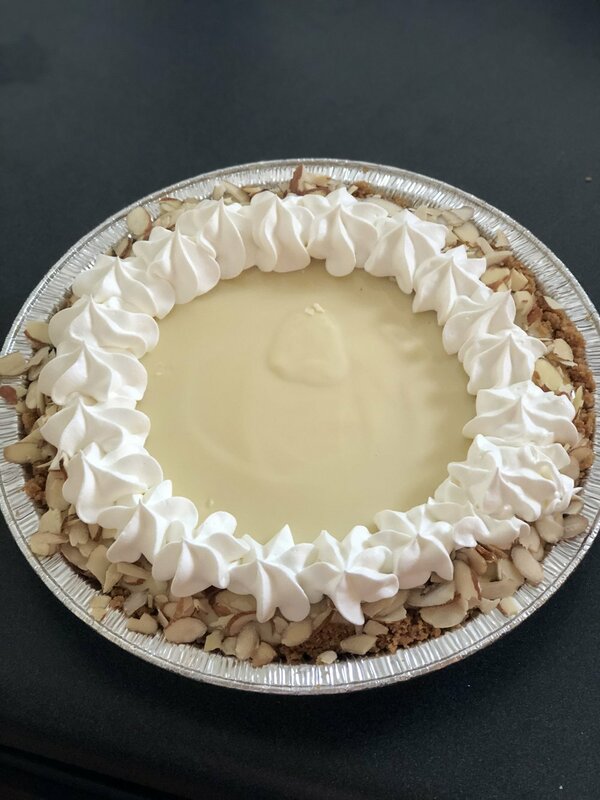 I added some chopped almonds around the outside edge, then piped the whipped cream using a Ziploc bag and a piping tip. It might look fancy, but it took me all of 5 minutes. Big thanks to my Aunt Melissa for sharing her secret recipe (that I'm now just completely selling out by publishing) and happy baking, folks. But bake at your own risk - you'll be called on to make this one again and again.